Well we’ve reached the end of April! And while I didn’t expect anything Earth-shattering to happen this month due to NaNoRenO wrapping up, the times we live in managed to surprise me. We have quite a few titles to go through, including one that has been awaited by fans of a certain gaming site for a while now. But let’s start with a piece of news that managed to slip under my notice. The Huntsman: Winter’s War is, by all accounts, not a good movie. Reports are coming in now that the movie may result in a massive loss for Universal Studios and when you’re looking down that barrel, spinning out another method of profitability and salvaging the franchise becomes the key corporate focus. So I always expected something: TV series, YA novel adaptation, something that can justify Universal not tossing the license with the baby and the bathwater. HOWEVER, if you had told me just a few hours ago that the answer they would have come up with was a visual novel, I’d have thought you were joking. Will people disagree with my assessment? Of course. I’m sure that because it includes a card-based battle system it’s not a ‘pure’ visual novel or something along those lines. 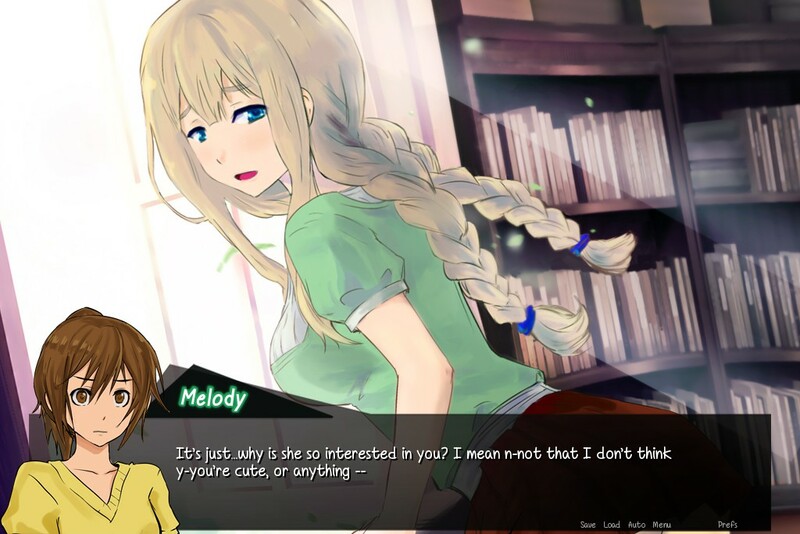 However, considering what I’ve been talking about for three years now when it comes to commercial visual novels in the West and how the medium will be adapted once large media companies realize just how cheap it is to develop and profit form them, I’m counting this as correct prediction on my part. I certainly wish that prediction was attached to a better movie, but I’m still counting it nevertheless. 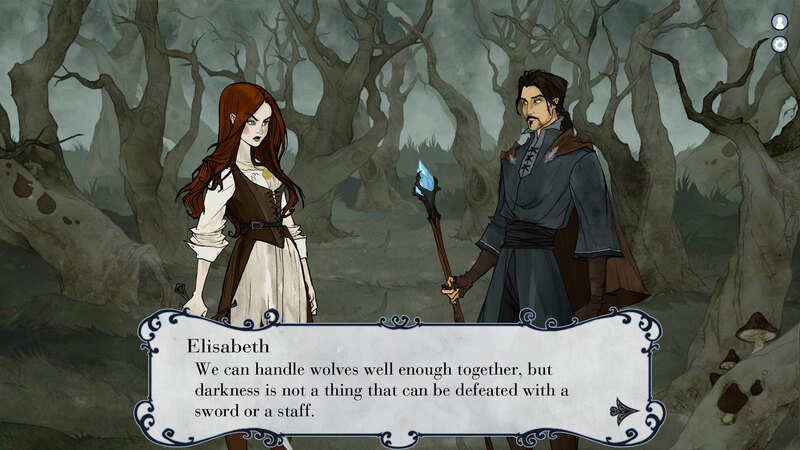 The Huntsman: Winter’s Curse is slated to be an episodic series. The first episode is available for free on Steam with a Playstation port in the works. The second and third episodes are already available as DLC and you can get them for $4.99 each or invest in a Season Pass to get the entire game for $17.99. You can get more information about all of this here. When things in her life get to be too much to handle, Hana Mizuno transfers to Asagao Academy to start fresh. Once there, she runs into the Normal Boots Club – a group of handsome, competitive gamers, and the most popular guys in school. And they need her to compete in this year’s gaming tournament! Now that I think about it, Normal Boots isn’t the only YouTube personality to get the fangame treatment. Humanity’s own Jim Sterling had a game made in his likeness a while back, although not nearly with the same visual quality. Luckily for me, I will always be out of the running for this sort of thing thanks to my overall cynicism, penchant for megalomania, psychotic blood lust, hatred of love and unpleasant face so if a VN reviewer ever gets this sort of thing, it’ll be Tenarium and Tryinmornin. Either them or Lost Pause I guess…no he doesn’t get a cheap plug. Your synapses will thank me. 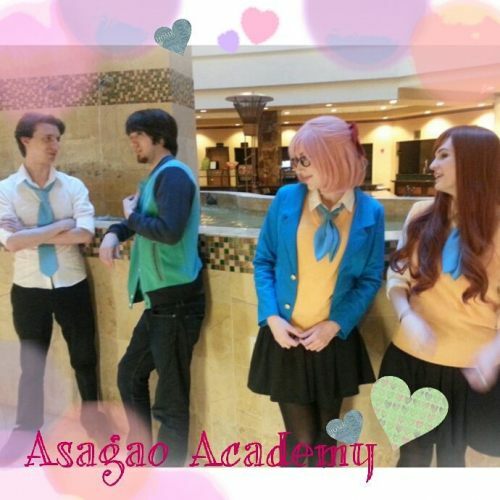 Jokes aside, you can get Asagao Academy on Itch.Io for free. You play as Aria, a girl who moves into her grandfather’s old house. While exploring the upstairs study one night, she and her friend Melody accidentally unleash a flirtatious demon named Lyria, who spent the past fifty years in a stone. After freeing her from her prison, the two become attached by a ‘lifestone’, which means Lyria can’t go far from Aria without feeling repercussions, and vice versa. Now Aria, an ordinary highschool girl, must find a way to free herself from Lyria, who seems to crave the exact opposite. Add to that the increasingly realistic dreams plaguing Aria, the sexual tension between Aria and a select few girls around her, and the supernatural phenomena – it seems like Aria’s life will never be the same again. Starlight Vega is available on Steam for $14.99. So, if you follow me on Twitter, you know that I’ve played Lucid9: Inciting Incident and you’ve most likely already seen the rant, so you know that the eventual review is going to be very interesting to say the absolute least. And while I have many things to say about it in the future, what I want to say right now is that everyone reading this needs to play it: especially EVN developers. Keeping in mind what I said to start this article about Winter’s Curse, it is absolutely pivotal that everyone has an opinion based on their own experience with Lucid9. Lucid9: Inciting Incident is available for free on both Steam and Itch.Io. Taku spends his days looking out for new things to explore around Bruma, the small forest village he calls home. When the village elder tells of a way to visit another world, Taku is dying to find out if it’s really possible! What kind of adventure awaits Taku on the morning of legend? Only a journey through the fog will tell! Ciikos Bridge is available for free on Itch.Io. Root Double is available for $39.99 on Steam. Continuing in our exploration of dark fiction from Japan, we have the surprising (but not unwelcome) release of Corpse Party. The franchise is one of the more storied ones we’ve come across recently. The original was released in April 22, 1996 by KenixSoft. While it didn’t make a lot of waves on its initial release, it maintained something of a cult following in Japan which led to a remake in 2008: Corpse Party BloodCovered. The remake garnered more popularity for the franchise which saw several new entries on the PSP, Vita, 3DS and home computers between 2008 and 2014. It has also been adapted into a manga in 2012 and an anime in 2013. Corpse Party BloodCovered, or just Corpse Party for us it seems, is available on Steam for $14.99. Finally I’d be remiss if I didn’t point out that Telltale’s Walking Dead miniseries is concluding this week. The series, starring fan favorite Michonne, has been well-received by critics and fans and it stands to reason we’ll be seeing similar mini-series to fill in the blanks between both television and comics where we don’t see certain characters. It’s a smart business move and allows the group room to focus on some key franchises they’ve managed to bring under their umbrella like Borderlands and upcoming works such as their Batman game. I’m personally not going into this title with sky high expectations, but from what I’ve seen of it the miniseries is as solid as the rest of their work on TWD. If you’re interested but HusbandoGoddess and one of my personal favorites ThaRadBrad have some of the better Let’s Play on the series and I strongly recommend them both. If you just want to jump into the game, you can purchase it on Steam and consoles for $14.99. And that’s all for this week! JP3: OUT!